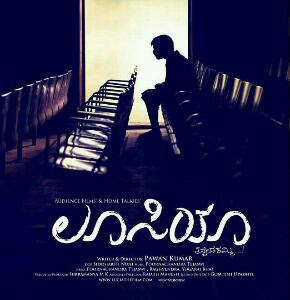 Lucia, Kannada's first-ever crowd-funded movie, directed and produced by 30-year-old director Pawan Kumar, has won the Audience Award at the fourth London Indian Film Festival. range from Rs.500 all the way to Rs.5000, with each level coming with it’s own set of benefits thrown in. In return for preordering, each buyer is converted into an online distributor for the film. Pre-orderers will receive a unique coded link for the film’s screening when the buyers pay. When the film releases online, in addition to seeing the film themselves, the buyers can circulate this unique link through their own social network. For everyone who buys a screening of the film through such a link, the owner of the link (the person who did the pre-order) gets a percentage as fee for having promoted the sale. "In our website we have written that the vision of Project Lucia was To bring back the dignity in making and watching a Kannada movie. I guess we are inching towards it. However, the big hurdle is yet to be crossed. Sending this film to various prestigious festivals and winning accolades is one thing... but actually getting it to release right here in our own state is the most difficult thing. This is where the stars win over us hands down." Rebel director chooses the less-trodden path Pavan Kumar earlier had expressed his frustration about no takers for Lucia, his second film. His fans and friends on Facebook reacted to it and many suggestions started coming his way. Finally he decided to produce Lucia through crowd-funding. In his own words, he was earlier bombarded with emails, smses, pings, chat posts etc etc.Everyone coming together to pour in ideas and solutions. Majority of them have suggested to open a public funding and produce the film with the help of the audience!" If you have missed pre-ordering Lucia, you can do so by clicking here.